My question is: 1) Is it bad to have two clickable elements on the row in a multi-select menu? 2) Does this appear to be intuitive? 3) Any other suggestions as to how to achieve the result I want. We ran into a similar issue a few years ago and resolved it by changing the default state to having all of the multi-select checkboxes unchecked and then changing the 'none selected' logic to be the same as 'all selected'. This worked in our case as there was no legitimate case where the user would want to apply the filter with no selections. Therefore, we interpreted 'none' as 'no filter applied' which is the same as 'any'. User feedback showed that this felt intuitive as they could get all results by default but could open the filter and select specific options immediately (without the need to click 'none' first). Not the answer you're looking for? Browse other questions tagged multi-selection drop-down-list or ask your own question. What is the most appropriate opposite of “Select All”? What is the best interface for multi selecting from a list? 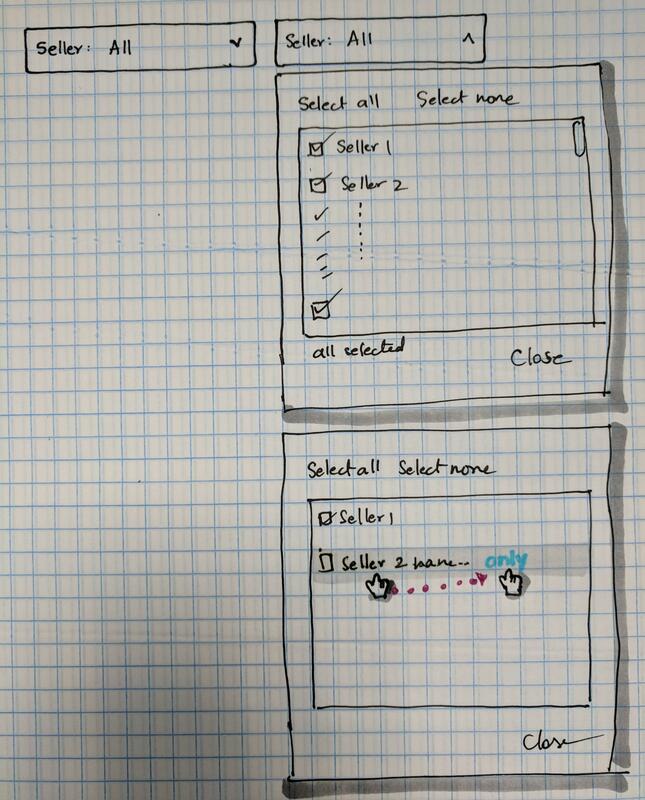 Is it a good practice to remember checkbox selection across multiple pages in a grid? Is this a good concept: “Select one or multiple items using checkboxes and use a radio button to select all”?